Ditch those old plain lanyards, dress up your zoo pass, your security tag or simply a great hands free way to carry your keys whilst going for a lovely walk. This lanyard is featuring a mix of chunky, wooden handpainted beads along with stunning chrome and rose gold coloured beads! This lanyard is an eye catching statement. This design is modern/ contemporary. The beads are strung on a long black faux suade cord and has a high quality Lobster Clasp. The lanyard comes in a lovely black organza bag with Earth, Sand and Sea swing tag. Spoil yourself or it would make a lovely gift. All necklaces are sent via parcel post with a tracking number. 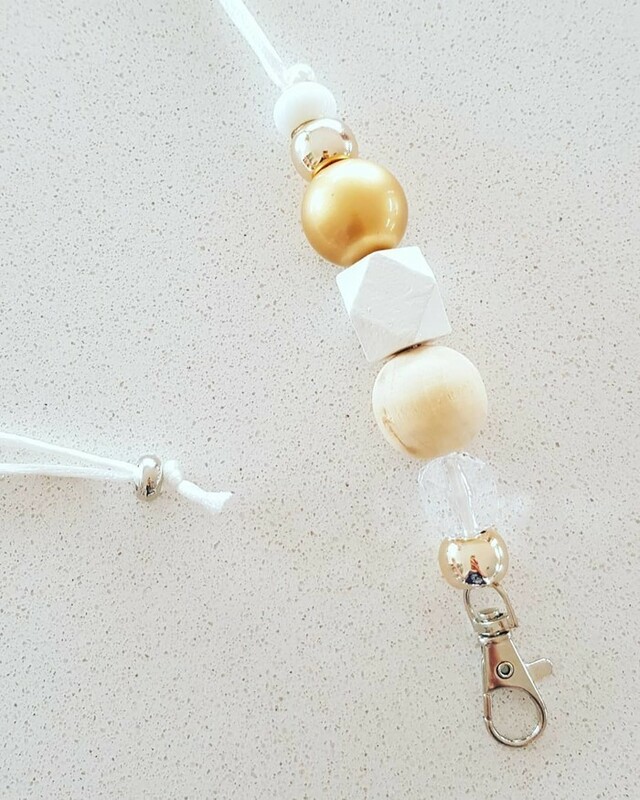 IMPORTANT: This necklace is NOT designed as a toy. It is not designed or safe for teething babies. It is strictly for adults for fashion purposes.